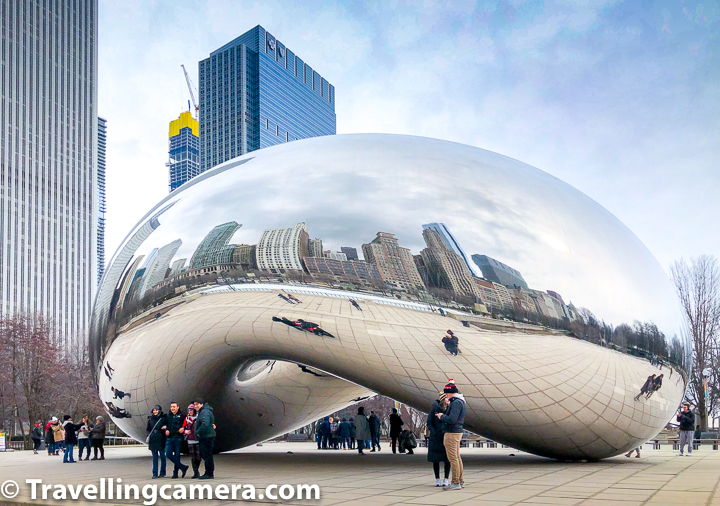 If I have to guess the most most visited tourist place in Chicago, then Cloud Gate or the Chicago Bean comes to my mind and certainly this is one of the most popular places to explore in Chicago city for free. 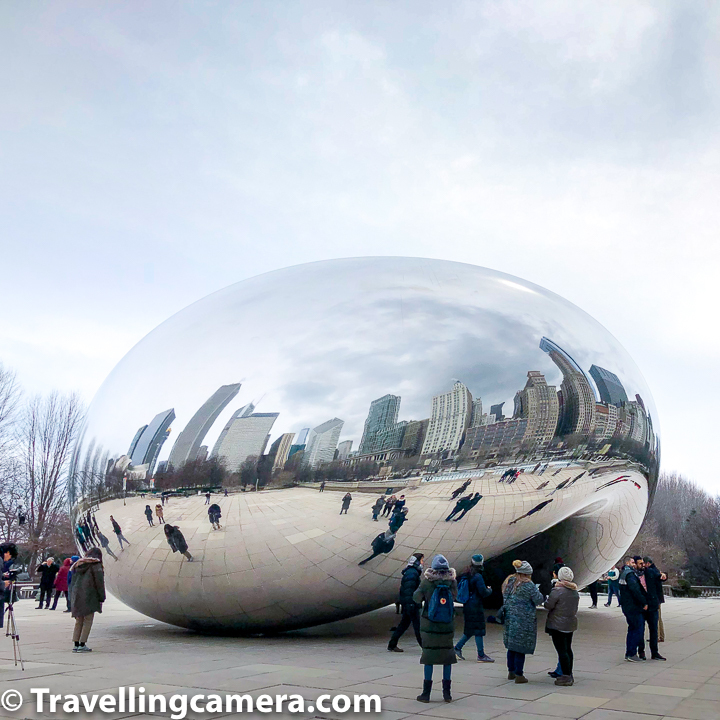 This post shares more about how to reach Cloud Gate, what to do around it and some interesting tips to make your Chicago visit special. 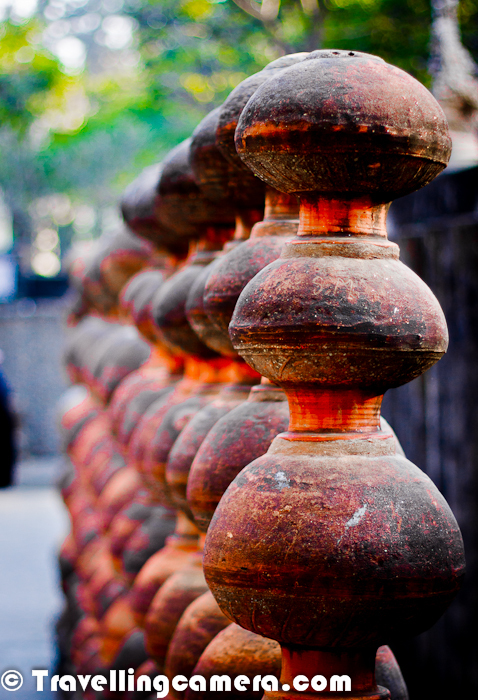 This place and the post is even special because this Cloud Gate is built by an Indian artist. Cloud Gate is located in Millennium Park of Chicago city and that's Chicago downtown, just across the Chicago Cultural Center. It's highly recommended to walk around Chicago Downtown to appreciate it's architecture and skyscrapers. While doing so, you can easily reach Cloud Gate which is in open area and there are no specific timings to open & close. 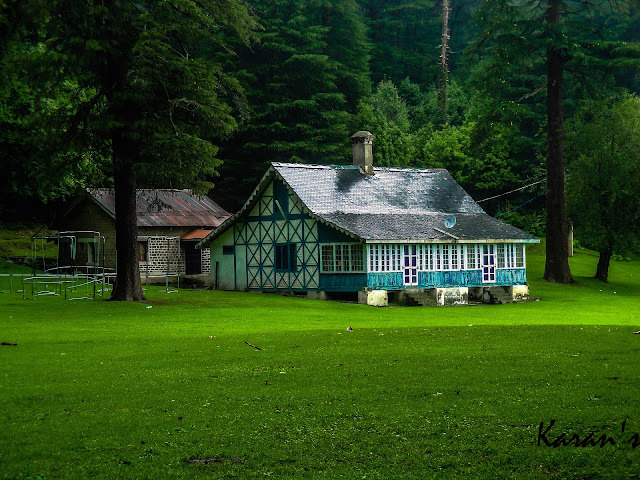 Along the same lines, there is no entry ticket to visit the place so you get to visit & explore it for free. 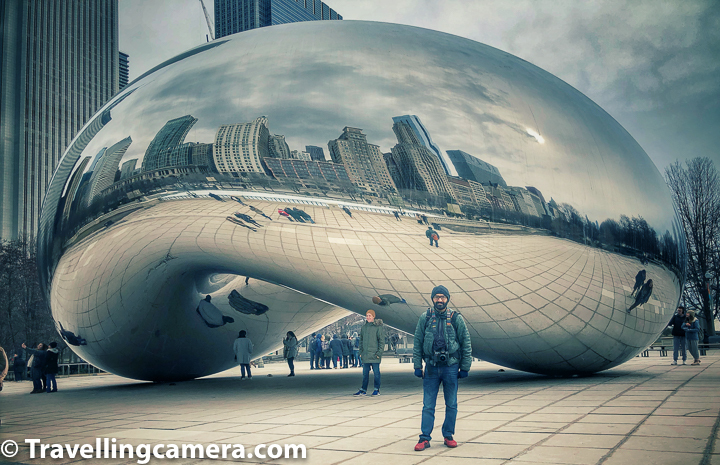 Cloud Gate is a public sculpture by Indian-born British artist Sir Anish Kapoor, which is the centrepiece of AT&T Plaza at Millennium Park in the Loop community area of Chicago, Illinois. The sculpture and AT&T Plaza are located on top of Park Grill, between the Chase Promenade and Ice Rink. It's also named The Bean because of its shape and I somehow call it Chicago bean. 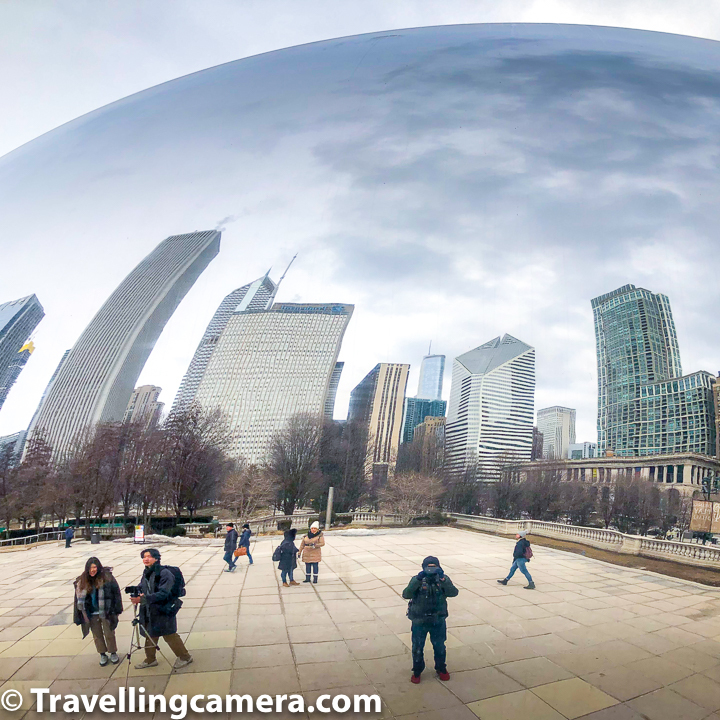 Cloud Gate is made up of 168 stainless steel plates welded together, its highly polished exterior has no visible seams. 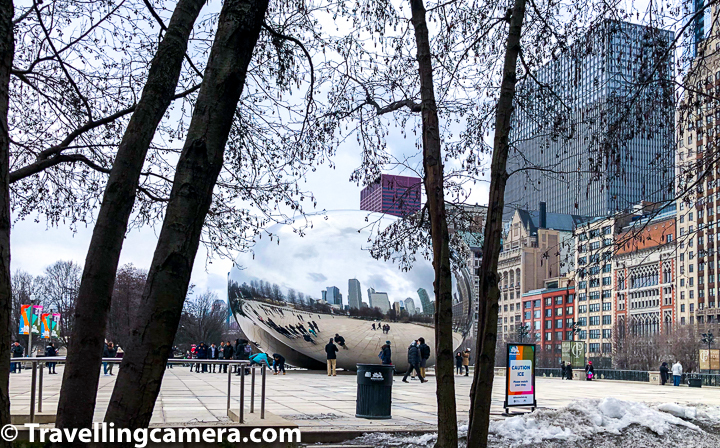 Daily, thousands of tourists visit Millennium park only to see this beautiful art-piece called Cloud Gate or the Chicago bean. Artist's design was inspired by liquid mercury. The sculpture's surface reflects and distorts the city's skyline, which I find very impressive. 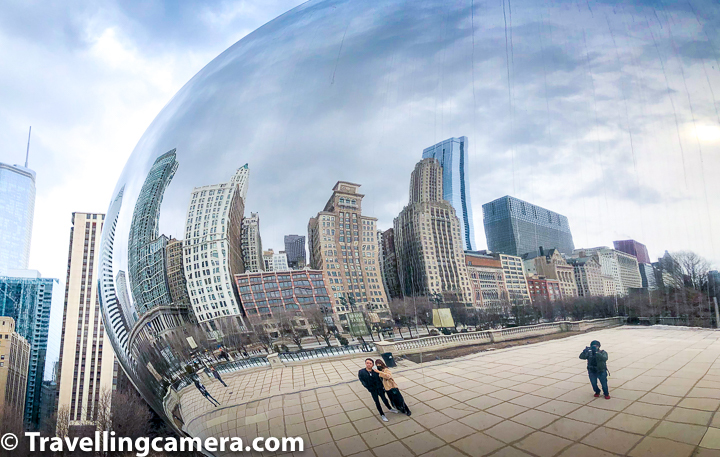 In fact, it makes it easier for tourists to click so many high rise buildings of Chicago through the reflection on this bean. 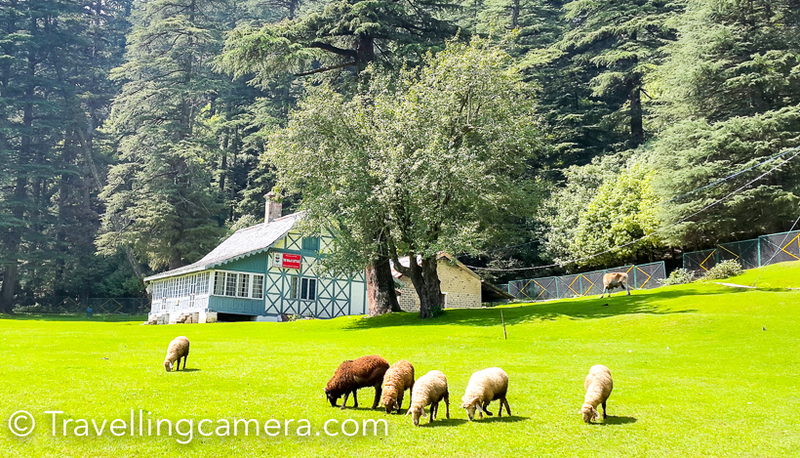 Otherwise it's hard because such landscapes can be only be clicked through ultra-wide lenses or panoramas. That too doesn't even come that well. 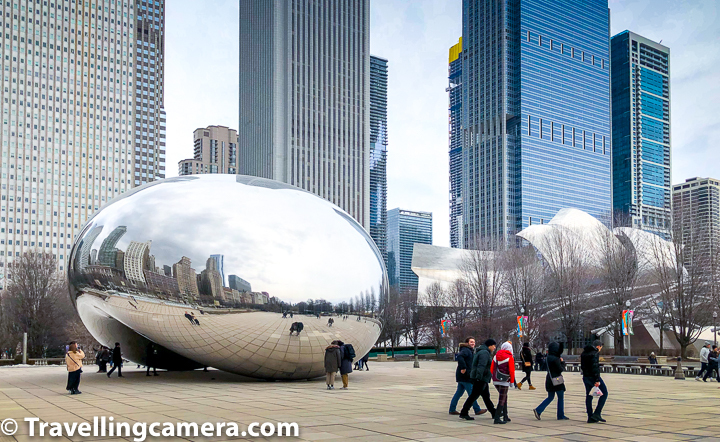 Visitors at Chicago's Cloud Gate can walk around and kids love to move under the arch of Cloud Gate. 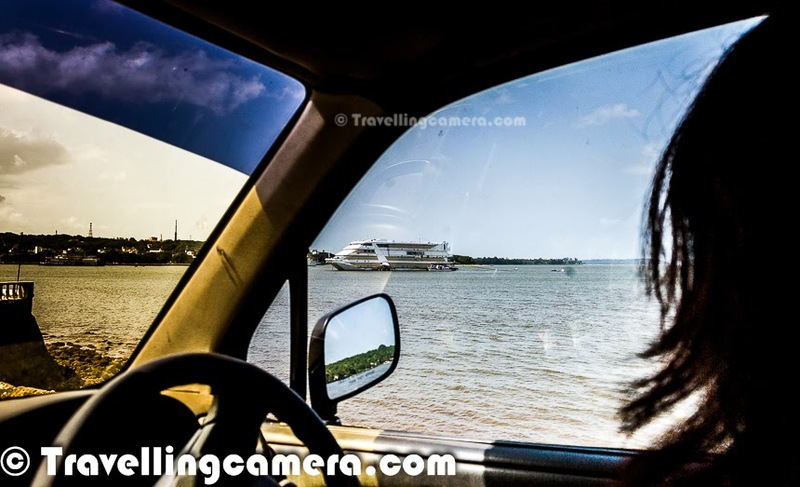 The kind of reflections you see in the bottom part is very interesting for the kids as well as elders. On the underside, there is a concave chamber that warps and multiplies reflections. 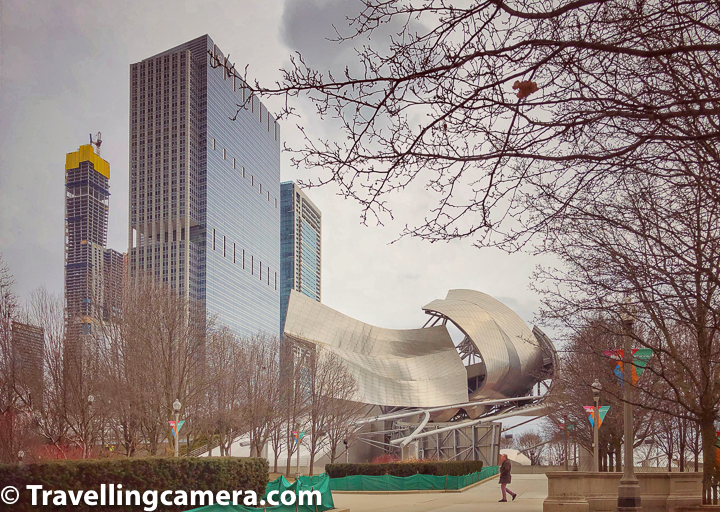 Tip : Just across the Cloud Gate, there is Chicago Cultural Center and a beautiful place to explore. Cloud Gate was the result of a design competition and now this has became a brand of Chicago Tourism. Most of the souvenirs of Chicago have Cloud Gate on them and even mentioned in various local shops & museums. If you are visiting Chicago, there is no way you can skip Chicago. 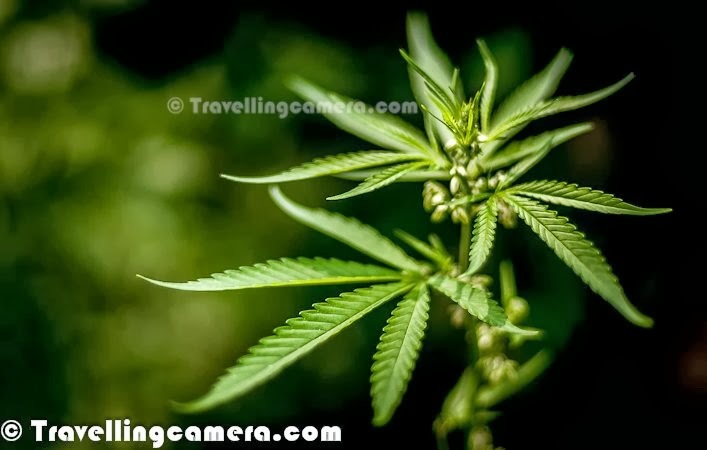 So visit and share with us how you found it.